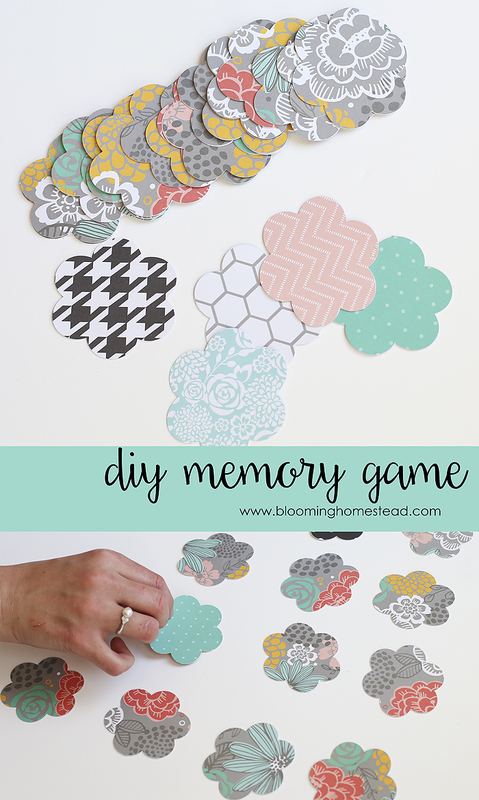 Hello TT&J Friends, it’s Marie from Blooming Homestead here to share this super fun and easy DIY Memory Game. While I spend a lot of time creating home decor, diy crafts, and recipes, I also love to create fun activities to do with my two kiddos. 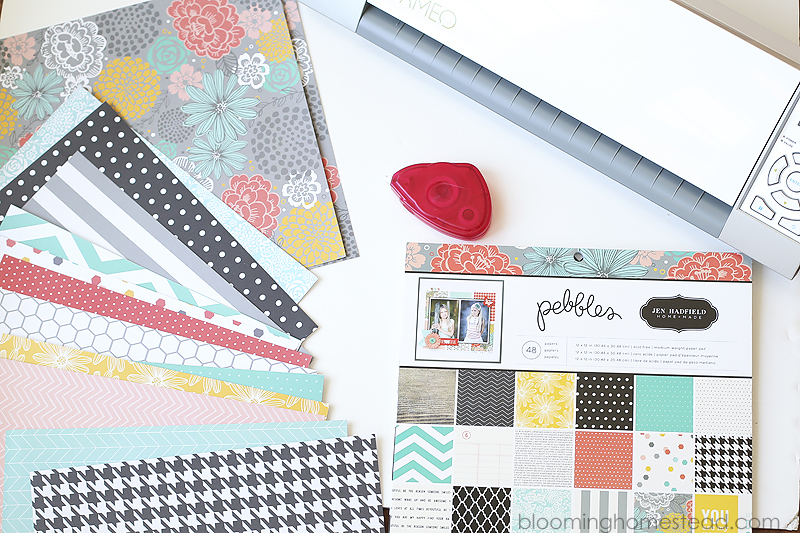 When I received my box of goodies from the Jen Hadfield Home + Made line I immediately fell in love with the patterns and knew exactly what I wanted to create. I love finding creative uses for beautiful paper patterns such as wreaths, banners, even book covers! 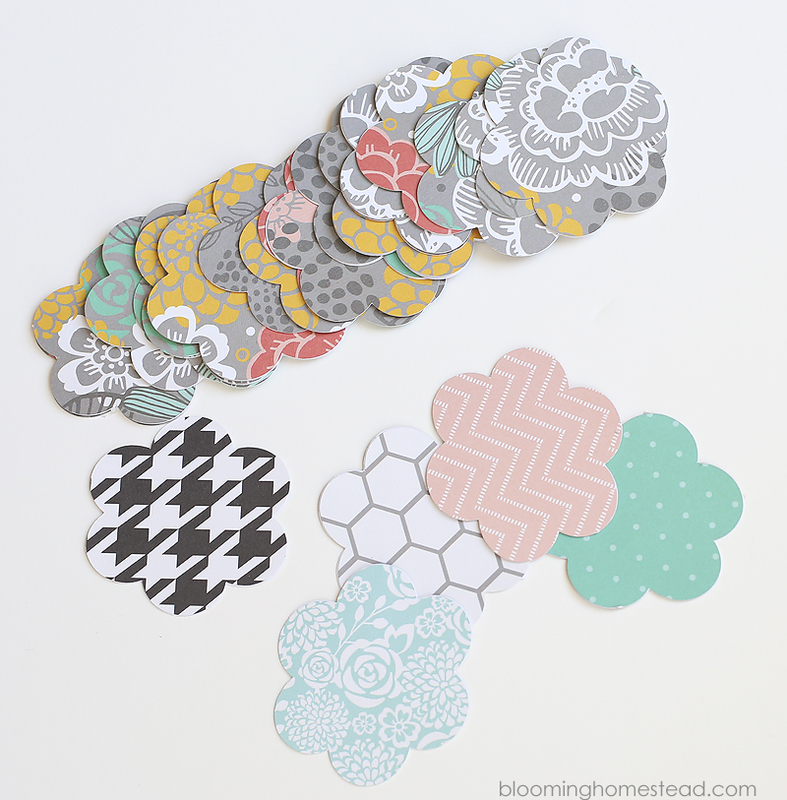 This memory game is simple and beautiful, how about I show you how to make your own? 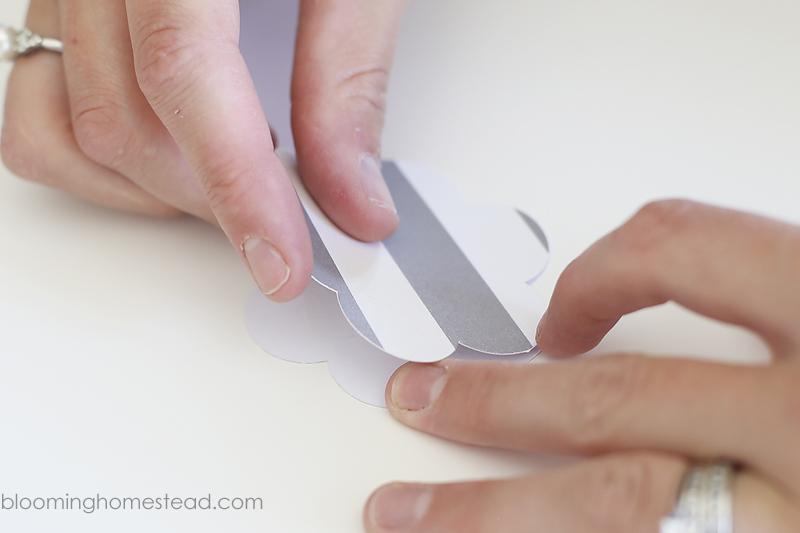 To start you’ll cut your paper shapes. 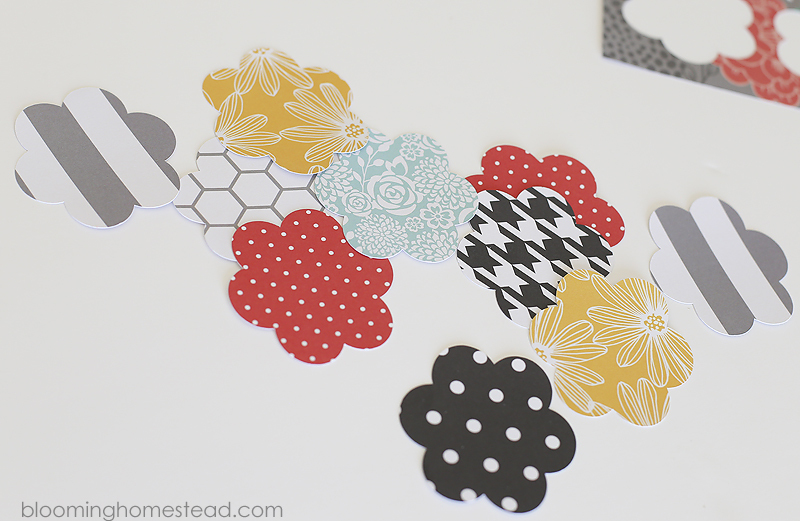 You can cut any shape you choose using scissors, or a craft cutter if you have one. 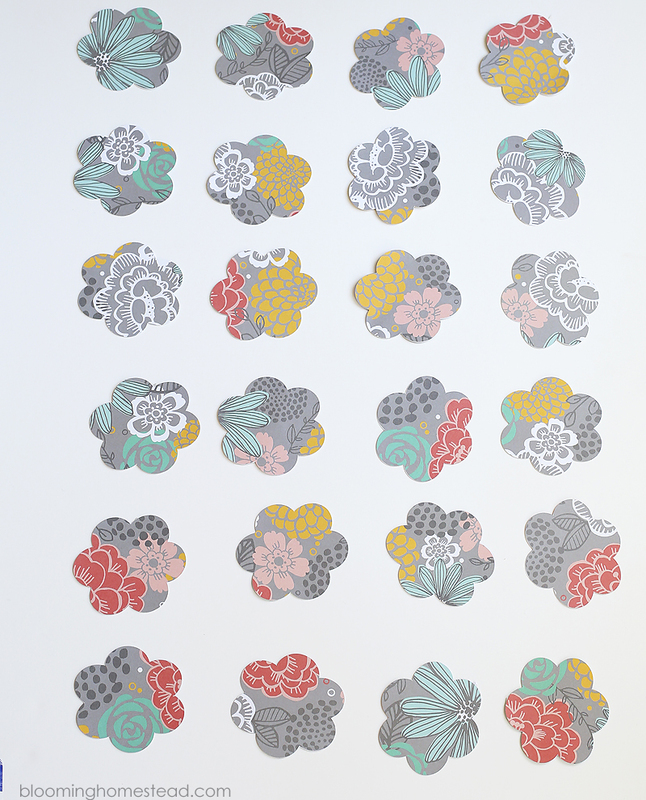 These flowers are 2.5″ inches in diameter. 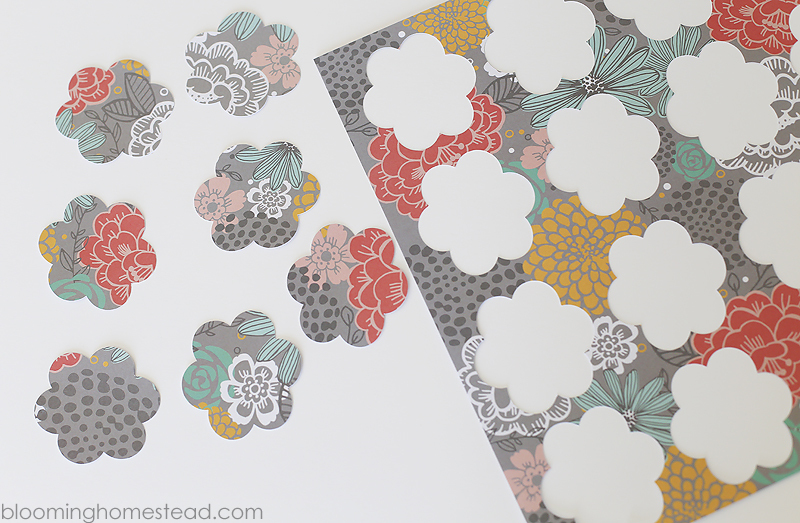 You’ll be cutting 2 flowers per page of scrapbook paper to create the matches. When you have all your front and back pieces cut you can start assembling. 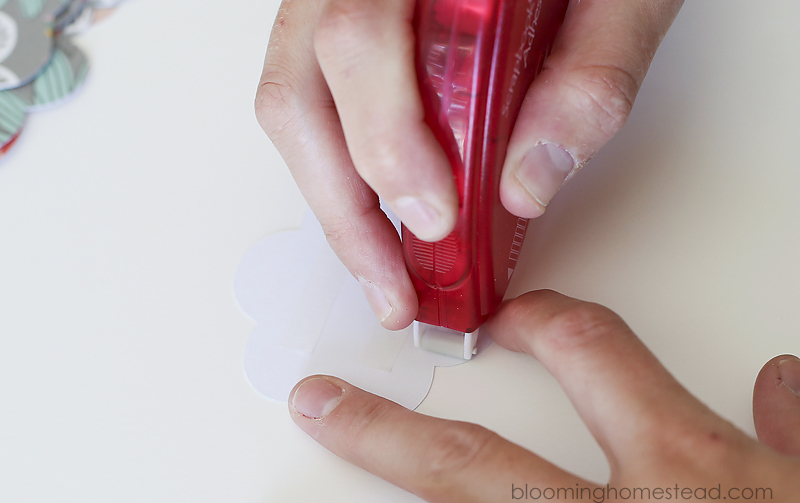 You’ll start by setting your backing piece right side down and applying scrapbook adhesive. Now you can add the top piece and press down to secure. Be sure to line up your flowers. Finish assembling the remaining flowers and you’re all set! 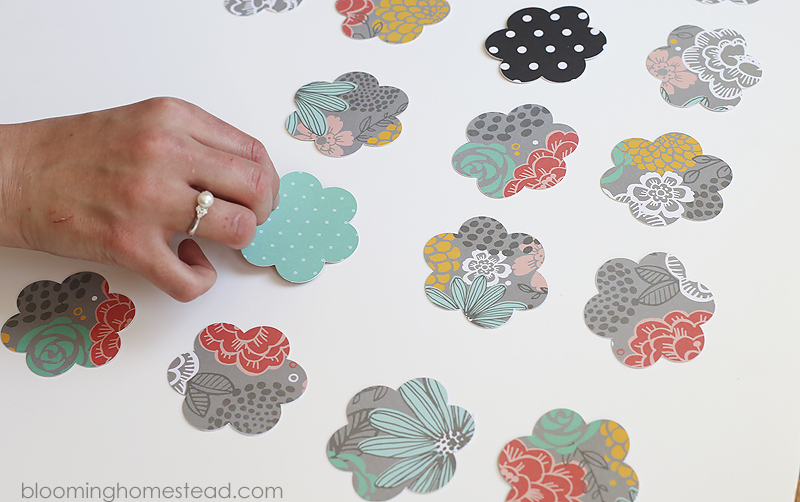 Such a fun and simple game that makes a perfect boredom buster. 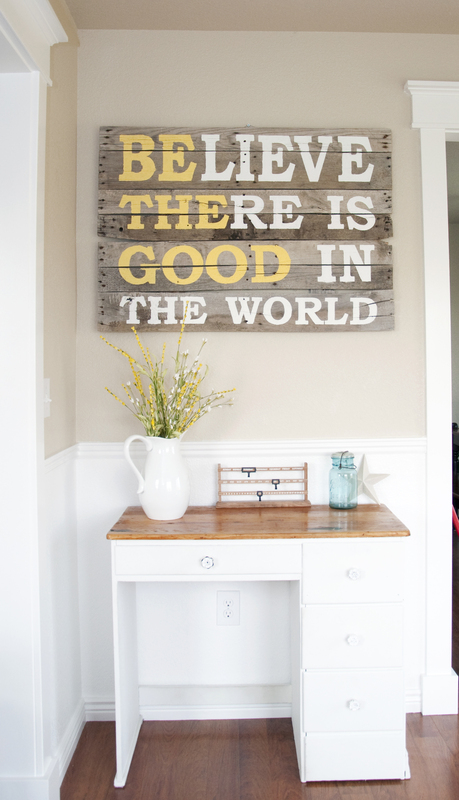 I love this DIY Pallet Wood Sign she made. So pretty and such a great message! 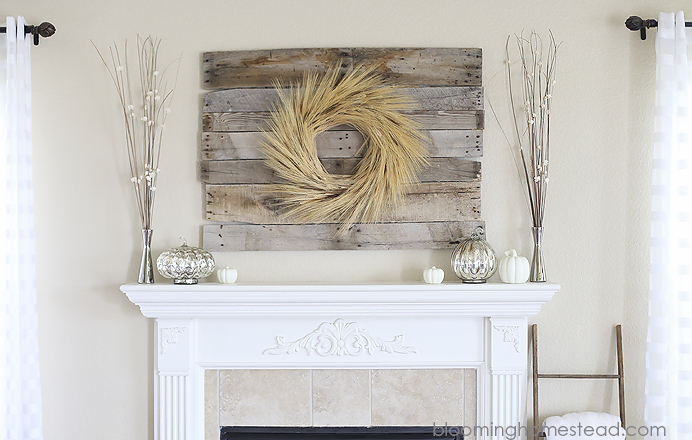 And this Easy DIY Wreath looks so pretty above her mantel! 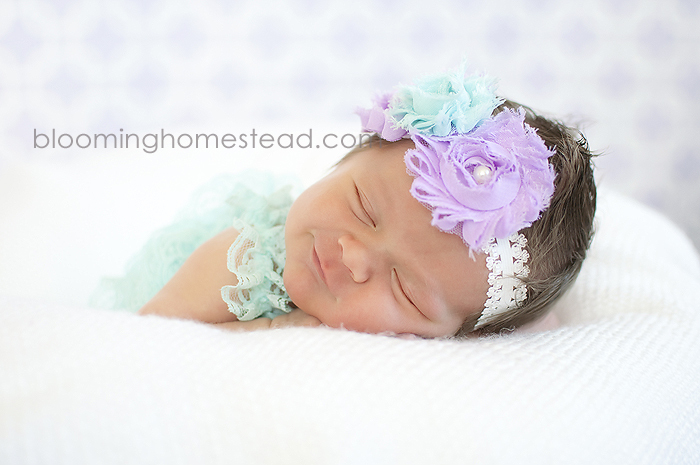 And, how gorgeous is this DIY Baby Headband? So cute!